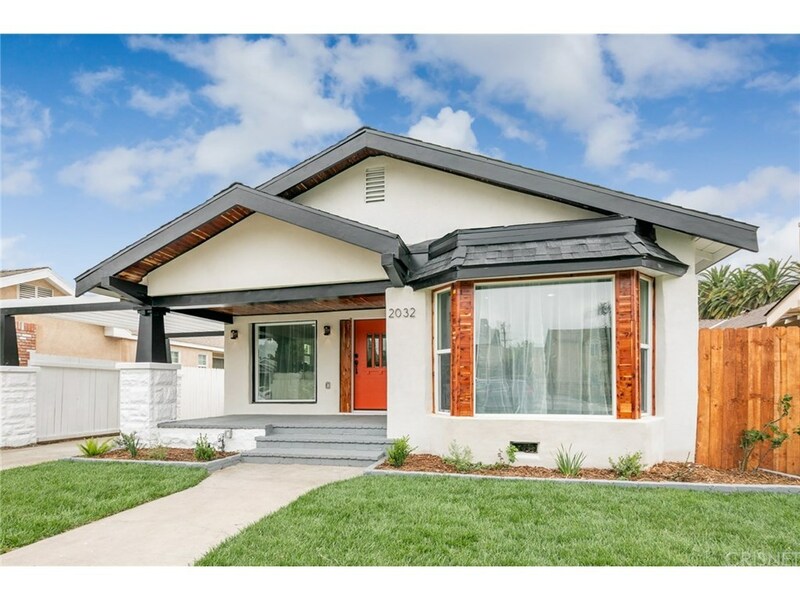 This beautifully reimagined California Bungalow offers a quiet and peaceful experience in the heart of Leimert Park. Walk into the ultimate open floor plan with a custom coffered ceiling that includes the great room with oversized kitchen and island, along with a laundry list of new features including all new dual pane windows, stainless steel appliances, custom cabinetry with stone countertops, a newly refinished Italian tile fireplace, wood floors, brand new HVAC, and the list goes on. The home offers 3 bedrooms, 2 full bathrooms and powder room, which includes a spacious master bedroom with its own en suite bathroom that features a gorgeous tile lay out, to compliment dual closets. A long driveway will park 4 cars at the least. The backyard has fresh, luscious landscape, that is perfect for outdoor entertaining. A one car garage can easily convert to a great study, art studio, office, covered seating for outdoor company, a bedroom, you name it! This is a not to be missed gem in one of the most thriving neighborhoods Los Angeles has to offer!